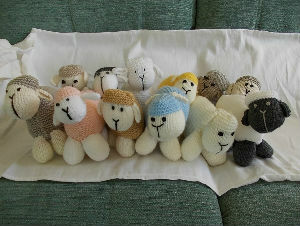 These adorable sheep have wandered into some of the shops in Ampthill. Their names are on labels around their necks. Free entry forms and details are available from Pastiche and in the Waitrose coffee area. The form can also be downloaded here.